Wanna visit the shop??? We'd love to see you! 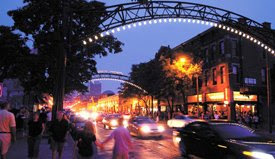 Visit shortnorth.org to get the most recent tips and happenings in the area and for parking and directions. And here's an inside tip: If you are visiting On Paper during opening hours Monday thru Friday- there is FREE PARKING Monday - Friday 9 AM - 6 PM in the lot behind the shop. While signs say Tow Zone- towing has been suspended Mon-Fri 9-6. DO NOT PARK HERE SATURDAY, SUNDAY or after 6 PM WEEKDAYS or you WILL be towed! Enjoy this Summer perk and visit soon! Shopping locally is one of the best economy boosters going. 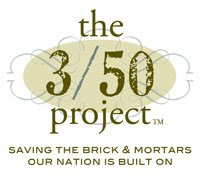 For more info about supporting your local retailer check out The 3/50 Project a fabulous campaign started by Cinda Baxter, a friend of mine, and it's taking the nation by storm!